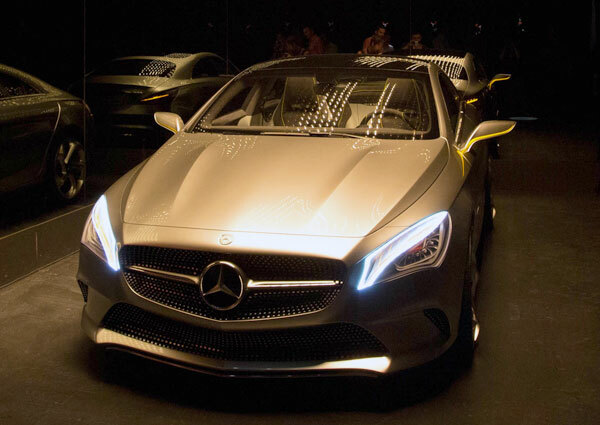 The new Mercedes-Benz Concept Style Coupé debuted last night at MOCA during the Avant/Garde Diaries: Transmission LA: A/V Club festival curated by Mike D of the Beastie Boys. 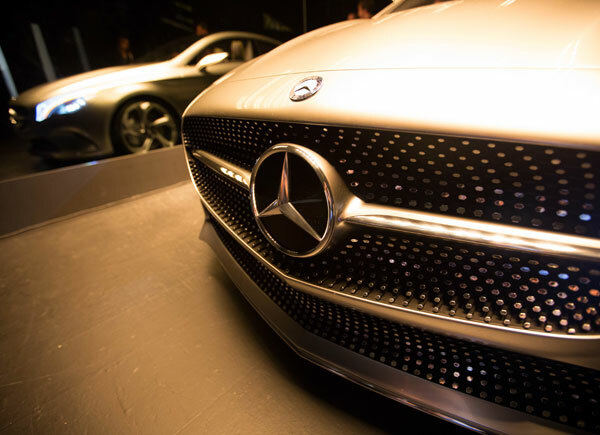 In fact, it is integrated into one of the installations you can experience… “The four-door coupé is set in front of a large, matte mirror wall and is illuminated from above by LED panels arranged at a 30-degree angle to accentuate the distinctive, powerfully taut side lines. 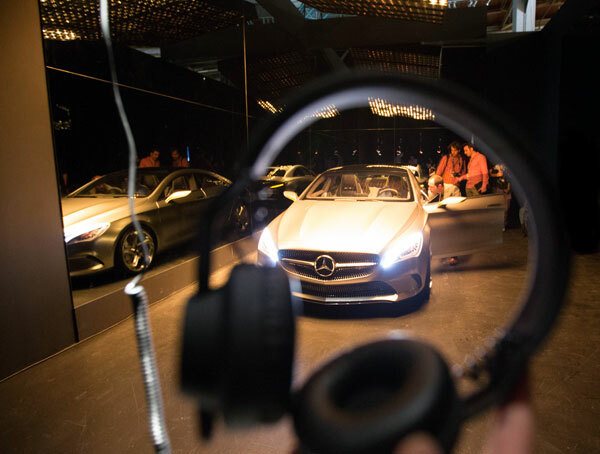 The LED lights react to a soundtrack that Ad Rock from Beastie Boys produced specifically for the installation.” says the press release… and from the high ceilings, AIAIAI headphones are hanging for you to stand and listen to the soundtrack as you stand in front of the car. 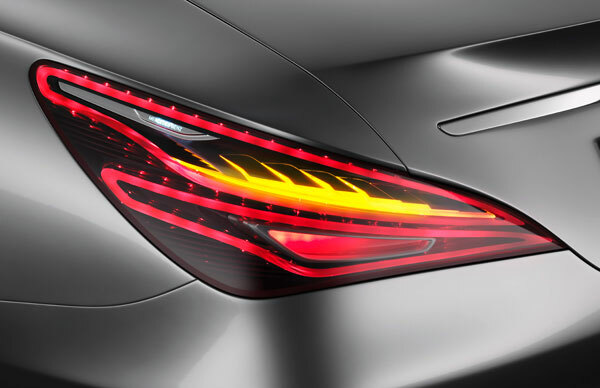 Throughout the party you’d see people midconversation waving their fingers as if mimicking the action of drumming your fingers on a table (pinky to forefinger one by one…) and you know they were all talking about the most fascinating feature of the Concept Style Coupé ~ the kinetic signal lights. 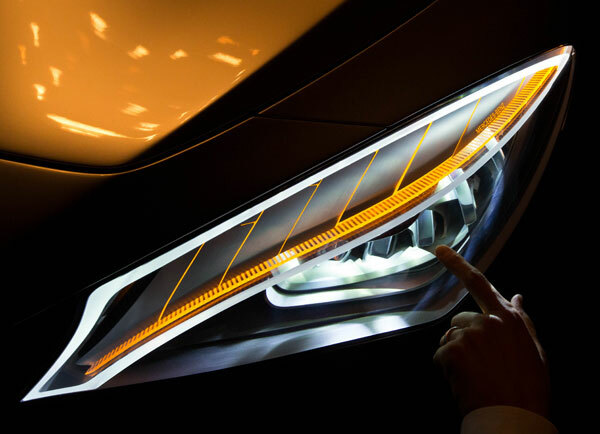 With robotic eyelash like plates covering the yellow signal lights it almost feels like the car is trying to flirt with you as it bats its metal eyelashes. 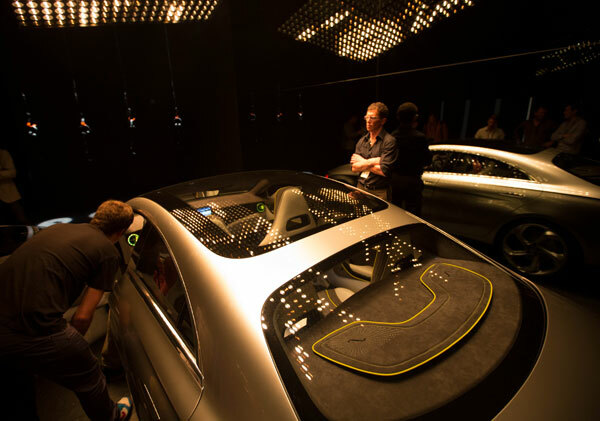 Shawn had a chance to chat with the design/engineering team about how they worked, saying, “The car’s lights were an exciting opportunity for the design and engineering team to play with new technologies and interactions that we may see in the future. Each kinetic turn signal uses one actuator to power the 6 fingers which reveal the yellow light. This works a bit like a camshaft in your engine, where a single rod has multiple oblong attachments that are all rotated slightly. When the rod spins, the appearance is that of drumming or taping your fingers on a table. 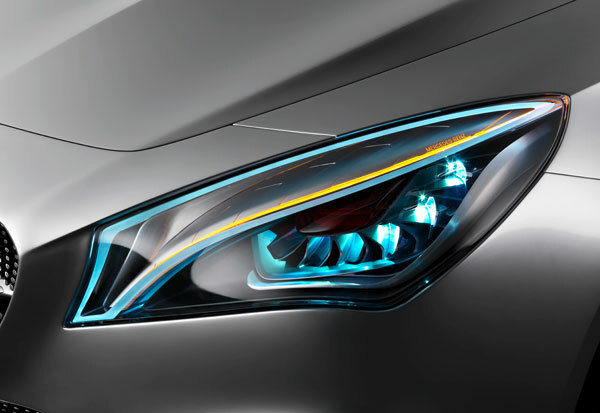 The main high/low beam light also opens with it’s own unique twist. It rotates open and has the effect of an iris of a lens. 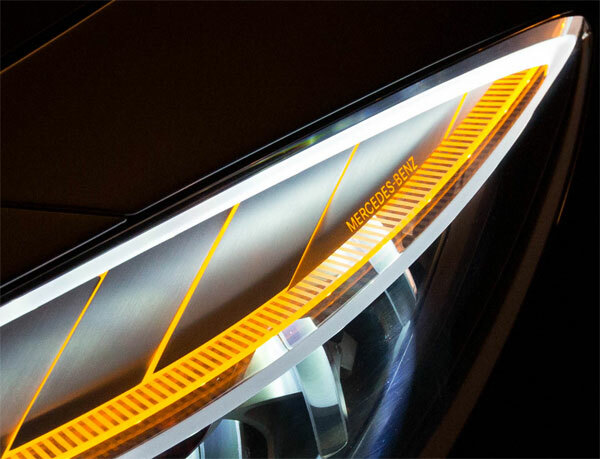 The combination of these simple mechanical elements and different lights offers an amazing peek into what the future of automotive lighting may be.” This also means my dream of programming them to move independently isn’t currently possible… it will be interesting to see if they keep this flirty detail in the production vehicle next year. 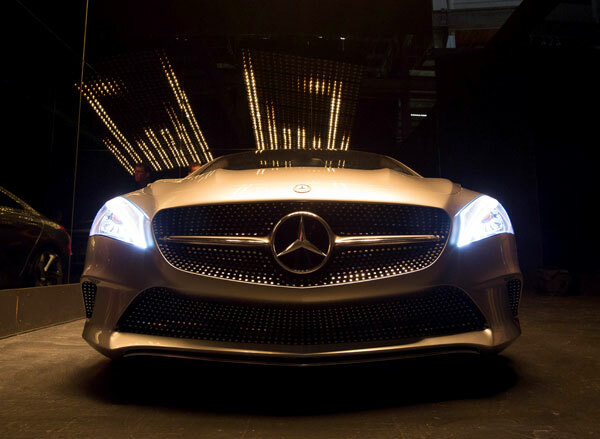 Take a peek at a video of the lights in action on the next page as well as a few peeks at the car in the installation.